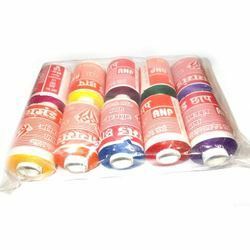 We are a leading Manufacturer of sewing thread and mix color sewing thread from Mumbai, India. A variety of Godhri Polyester Thread is provided by us that has the ultimate sunlight (UV) resistance. Our products come with the replacement guarantees and made of an excellent quality material that makes up clothes durable enough that is being sewn. 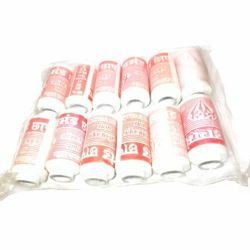 Since the inception of our firm, we are offering a quality assured array of Mix Color Sewing Thread. In this thread, silica is added to make the thread texture extra smooth. In addition to this, the polyester threads are best for high-speed sewing, good for a household sewing machine and industrial sewing machine. Looking for Godhri Polyester Thread ?